Cherwell Valley pastoral. The gate in the foreground hasn't opened for a very long time, and is gradually being overtaken by the surrounding vegetation. 168001 heads south near Tackley with the diverted 1V54 16:10 Birmingham Snow Hill to Oxford Chiltern Railways service on Sunday 20 June 2010. This would connect with a First Great Western train at Oxford, allowing passengers to reach London. 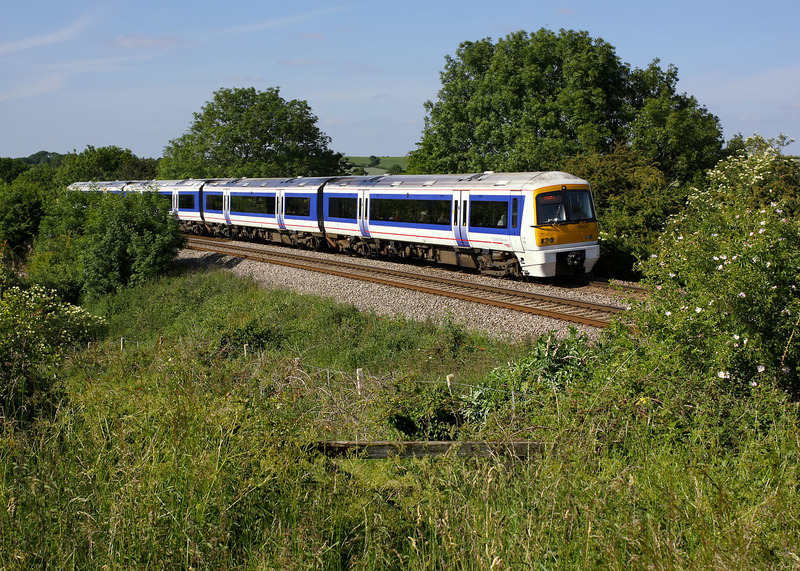 The Chiltern Line was closed for engineering works.